2018 has been an exciting year for GFP! As we head into 2019, we’re taking a moment to look back and reflect on the last year. In January, GFP attended the fourth annual “MBC Hope” awards ceremony, accepting the “Outstanding Partner” Award from MBC Hope (MBC Al Amal). 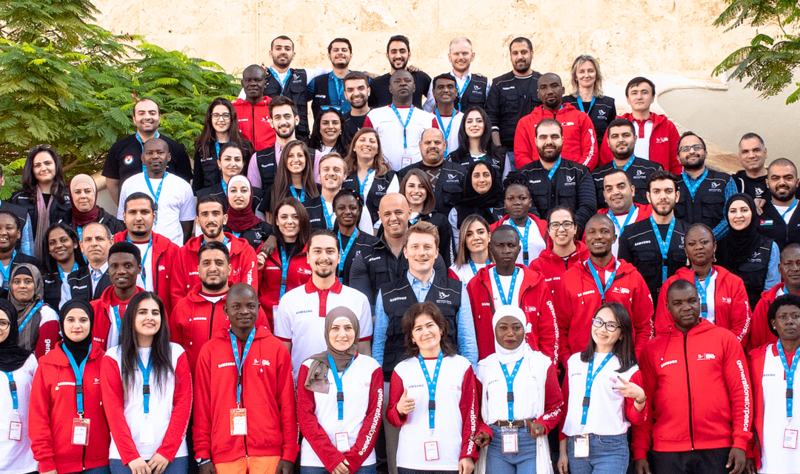 In February, we were ranked the #30 NGO in the top 500 NGOs, jumping four places and maintaining our status as the second-leading peacebuilding organisation and the leading Jordanian NGO. In February, GFP conducted an innovative training on transformational leadership for 70 youth leaders from six cities in Iraq in partnership with UNFPA. In March, GFP launched the EU MADAD-supported Youth Resolve Programme in Jordan by conducting the Advocacy For Peace Training. Later, we hosted a Youth Resolve camp in Lebanon, uniting 120 Syrian, Palestinian, and Lebanese youth from 10 Lebanese communities. 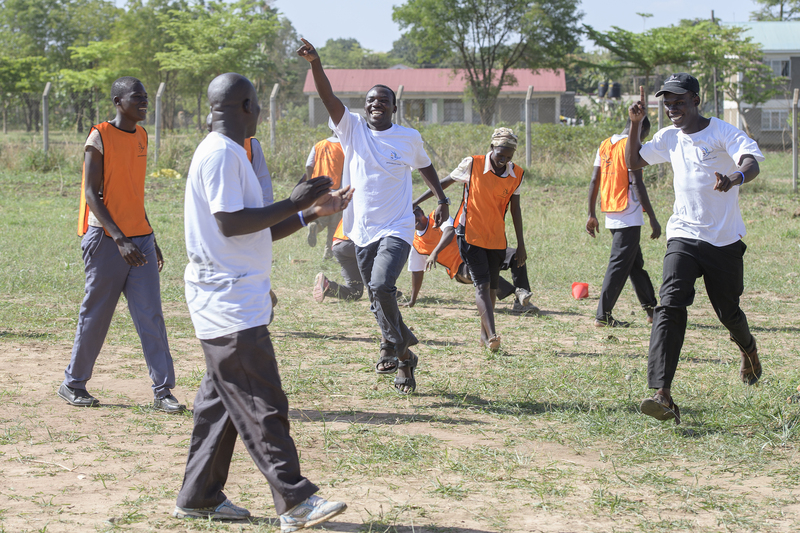 In April, GFP secured a grant from the U.S. Embassy in Uganda to combat school-related gender-based violence (GBV) by supporting local teachers and leaders as they use Sport- and Arts For Peace to reduce GBV. In May, GFP, the Ministry of Youth, and UNICEF launched the newly expanded Maharati Programme, which grew this year from 40 to 188 youth centres, directly impacting 45,000 youth across Jordan. In August, with the support of the Ministry of Education and UNICEF, GFP trained 400 teachers for the newly expanded Nashatati Programme, which has doubled its number of active schools to reach students in 200 campuses around the country. 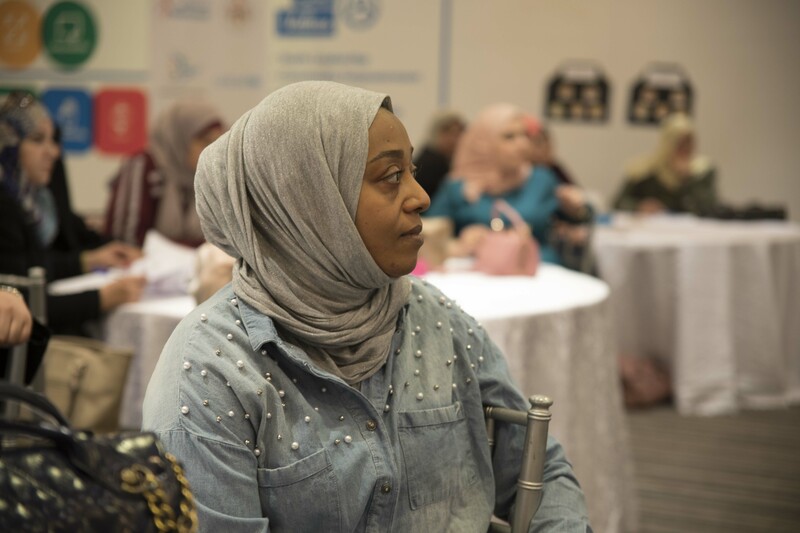 GFP entered into a partnership with UN Women in August, which helps us engage more than 600,000 Jordanian and Syrian refugee youth in sport-based activities to promote resilience and empowerment from a gender-sensitive perspective. GFP launched a sleek new website – if you haven’t seen it yet, you can check it out here! We hosted a UNAOC programme in February and September as it conducted peacebuilding workshops with GFP for 20 youth from 12 Arab countries. GFP was busy on International Day of Peace! 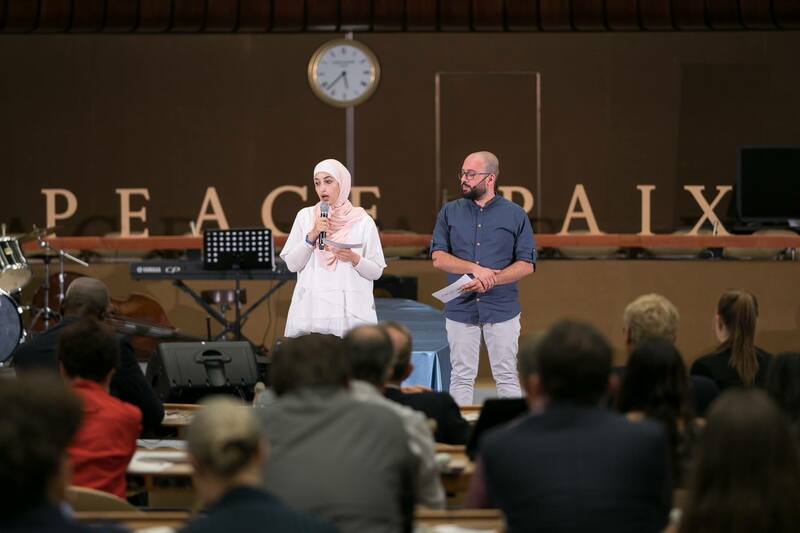 Wala’ from Jordan and Zakaria from Lebanon spoke at the 2018 Geneva Peace Talks, while Ali from Jordan and Hannah from Nigeria (accompanied by President Dr. Mohannad Al Arabiat and Lindsay McClain Opiyo) joined a “Narratives for Peace” event co-hosted by GFP in New York. In October, GFP’s Institute published a Compendium of Participatory Indicators of Peace, sharing a collection of community-sourced and verified indicators used across 27 countries from 2014 to 2017 to serve as a resource for peacebuilding practitioners around the world. In October, GFP announced the second phase of “United in Diversity: Strengthening Inter-Ethnic and Inter-religious Acceptance in Kaduna State, Nigeria,” supported by the U.S. Embassy. The programme aims to increase tolerance and acceptance among different ethnic and religious groups in the region. In November, our Founder and Chairman, HRH Prince Feisal Al Hussein delivered the Dream Together Seoul Forum 2018 keynote address in South Korea. In November, our CEO Mark Clark moderated a panel at Geneva Peace Week titled, “Youth Perspectives on Peace, Peacebuilding, and Preventing Violent Extremism: Turning 2250 into Action.” Four young peacebuilders, including GFP’s own Aya from Jordan and Frosina from the Republic of Macedonia, shared their insights and experiences. Our 2018 Advanced Training welcomed 35 volunteers from nine countries this November. 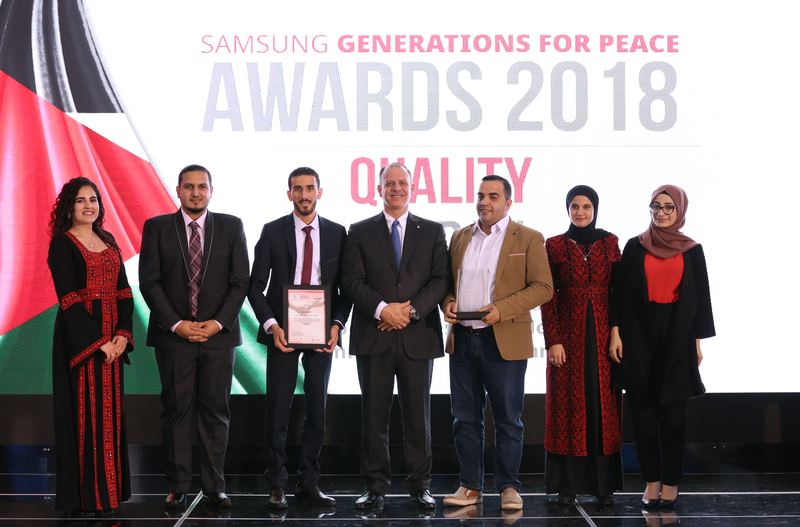 The event concluded with the Samsung GFP Awards, which were given to the volunteers from Nigeria, Jordan, Sri Lanka, and Lebanon, recognising their respective programme excellence in innovation, quality, impact, and sustainability. GFP’s staff and volunteers have grown in 2018 – we’re now up to 64 staff and over 11,500 volunteers worldwide! Take a look at this video to see how far we’ve come! Thank you to all who support us – our committed partners and donors, our dedicated staff, and our inspiring volunteers: Delegates, and Pioneers. It is thanks to all of you that we are able to continue expanding our impact to further build peace and pass it on!